"Of recent titles, perhaps only Donald Hall's Without for the late Jane Kenyon can be placed beside this book for its ability to affectingly convey the bald specifics of private loss. The impact of Shomer's book is palpable." "If metaphysical poetry is that in which the senses show the way to the extrasensory, even to the divine, then Shomer is a metaphysical poet. Her work is deeply sensual, deeply sexual, and deeply spiritual at once. Like other metaphysical poets, Shomer twists language to force new meanings through it. Unexpected juxtapositions of nouns, startling verb choices, piled-up appositives all work to stretch the language beyond its usual limits. The effect is both clarity and strangeness....Exemplary work." 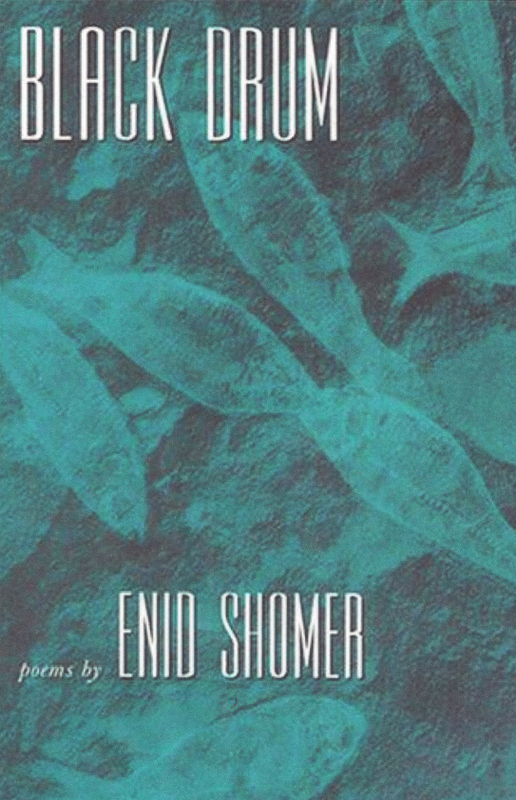 "Enid Shomer takes her place as one of our most strikingly sensuous and accomplished poets....Shomer's powerful figures of speech are the hallmark of her arresting art. Her poems glow and explode with discovery and surprise...If I have given too many quotations in this brief review, that is because Shomer's art humbles the critic in me and compels me to the simple and spellbound 'look at this!'" "Beautifully crafted work that remains powerful even after several readings. Shomer uses the stuff of daily life to create imagery that surprises us with its originality... She has a great gift for taking the highly personal and transforming it into the universal." on the line when something strikes. by the pilings of his condo. two things: the racetrack and the pier. a mouth chewing too loudly. bone. And there the scarlet blood. forgotten that every beauty involves a wound. every silence, was a roar.